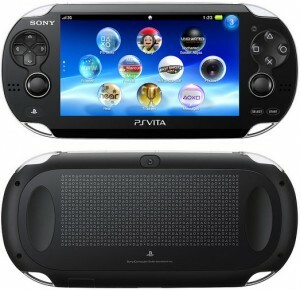 Touch screen and a multitude of features are becoming the standard for new devices and the Vita is no exception. July 7, 2010 the Wall Street Journal made a report about a new hand-held mobile gaming system that was under production by Sony to replace their PSP. Ever since then more and more information about the new device has been pouring out onto the web. According to GameInformer magazine it comes standard with a 5″ OLED touch screen with dual thumb sticks and a touch pad on the rear of the device. The Vita provides connectivity to both Blu-Tooth and Wifi standard, with an optional ability to get it to connect to a 3G provider. The rear touch pad is the feature that has caught most people’s eye because there isn’t a screen associated with the pad it is just placed there to add more variety to the games being released on it and give more options for video game and people trying to make apps for the Vita. Vita is facing serious competition in the hand-held market though. Between Nintendo with their DS line and Apple with all of their mobile devices featuring download-able games. Though Sony has the competition, they are already a big name in the hand-held market with their PSP which is supposed to be replaced by the Vita. “I think that the Vita is Sony’s attempt to delve into the app market and try to compete and steal some profit from Apple with their ever expanding app store,” Said Matt Scheuing a history teacher in Penn Manor, “I wonder if they are trying to reduce the visual price of game’s to make them similar to app prices,” Scheuing added. The Vita not only provides gamers with a new mobile system that performs about the same as the original Xbox and a four core processor which is probably about the same size or larger than the processor in your standard desktop computer. It also has apps that help the user get connected to social media and friends. Twitter, Skype, and Facebook apps have already been announced for the Vita. The Vita also already has an exciting line-up of upcoming titles to be released for it such as Uncharted Golden Abyss, Hot Shots Golf Next, Little Big Planet, and even a Call Of Duty title has been mentioned.With all of these title’s and accessories already being released Vita should be a shoe in for one of the best mobile devices made to date. However with all the positive features the Vita supplies people are still skeptic about Sonys’ new mobile device. “I think it will be terrible, but then again so has every single hand-held released since the Game Boy Color,” Said senior Ryland Overly. With all of these neat new features though how reliable is the Vita which is showing features that have never been heard of before for a hand-held system. Some people in Penn Manor are actually curious as to how well this device will hold up through some of the wear and tear they will be going through in people’s pockets and bags. “I feel like there will be a ton of issues with the Vita because it seems that the more technology crammed into devices the faster they completely break or just stop working there are just too many new things in it I think,” Said senior Logan White. With all these extra’s the Vita seems set up to really impress which they will need to do to try to surpass the Nintendo 3DS that has 3D capabilities over the Vita. 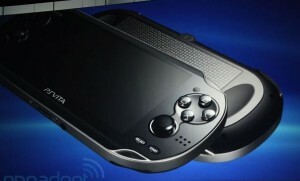 With all the Vita’s added features though it should be able to hold its own in the hand-held gaming category.